Foreclosed and foreclosing properties dominate many of today’s U.S. real estate markets—more than four years after the sharpest observers saw the market shift coming, and more than two years after the reality hit home for millions of American home owners. The recent Keller Williams Distressed Property Buying Survey unearthed great information about where the opportunities are, how big they are, and how smart, capable buyers are leveraging the current market. First-time home buyers make up almost half of all buyers of bank-owned foreclosures and soon-to-be foreclosed short sale properties. They’re followed closely by investors seeking rental properties, and a third important group—homeowners who find they can move up to a bigger or better home they previously could not afford. To help more consumers win as buyers, Keller Williams agents are now offering a workshop, “Winning with Foreclosures," that shows buyers how to prepare to be successful buying the “distressed" properties—homes that offer, according to the survey, a 10 percent to 40 percent price advantage, depending on the local market. 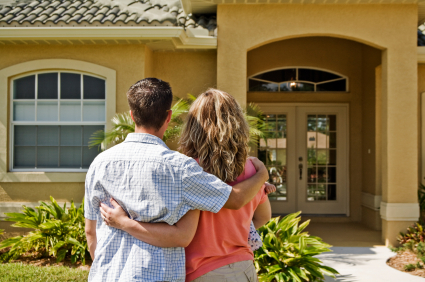 Money: Buyers must be financially qualified and ready to buy. The best properties go quickly. Buyers must look strong to lenders. Location: Contrary to the rumors, prime buying opportunities exist in almost every neighborhood and price range. Condition: Buyers should understand that repair costs are not necessarily large. The Keller Williams Distressed Property Buying Survey shows the average cost to repair to be $5,000—that’s less than 3 percent of the median purchase price in the U.S. today. Expert Help: Finally, smart buyers know they need to be even smarter—they become a team with a local expert agent who knows local property, pricing, lenders, and the best listing agents. A strong listing agent can be a critical advantage in seeing a distressed property through from contract to close. So, bottom line—if you think you want to buy, have a talk with yourself first, check your financial readiness, and get with an expert and learn everything you need to know, in order to get what you want in this market.